Relief icon "The Crucifixion. (Golgotha)"
Moscow, craftsmen of the Armoury, last quarter of XVIIth century. High relief; wood, carving, gesso ground, tempera, oil painting. Derived from the Church of St Alexius the Metropolitan of the Chudov Monastery in the Moscow Kremlin. Transferred to the State Historical Museum in 1922. Sent back to the Kremlin fund in 1930. 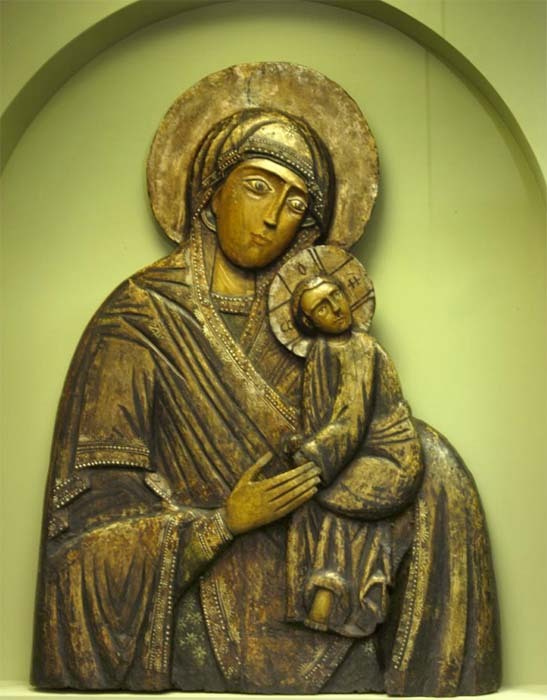 The Moscow Kremlin Museums possess the collection of the Russian wooden church sculpture, which numbers about 80 exhibits. The majority of the creations are eminent examples of Old Russian plastic arts. The collection is not a historically formed one. It appeared because of the purposeful collecting activity of the museum during a period from 1918 till 1931. The chronological frame of the collection covers the late XIVth - early XXth centuries. It presents various kinds of plastic arts - from small low relief carved icons, crosses and folding icons, to monumental high reliefs and examples of the round sculpture. Numerous works of the Russian small plastic arts form a special Museum’s collection. Carved icons and sculptured images of Saints were rarer than painted icons, still all-round venerated in Russia, especially by public. 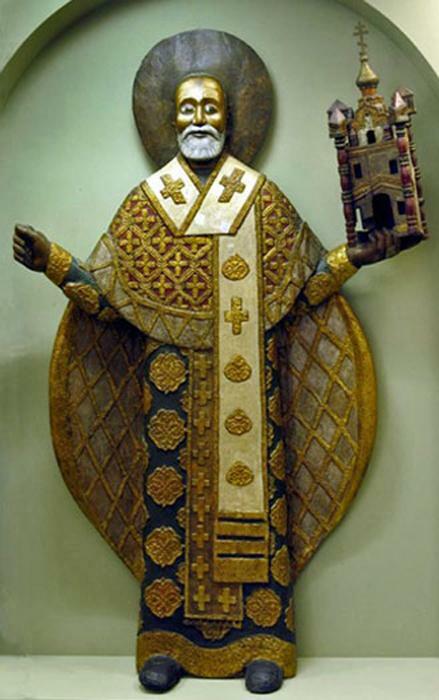 The attitude of the church officials towards such icons was rather careful as they were considered to be connected with paganism and influenced by the Catholic world. 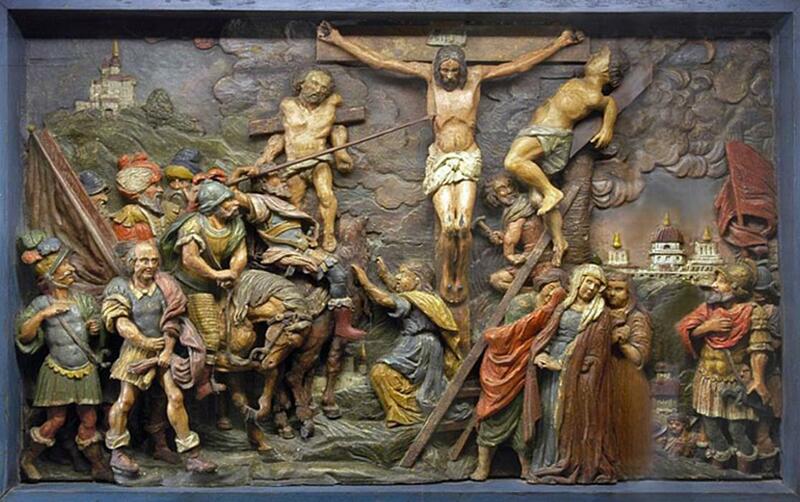 The collection of the Moscow Kremlin Museums presents artworks of church sculpture from different art centers. There are showpieces from Moscow, Novgorod, Rostov the Great, the Russian North among them. The best works are presented within the permanent display in the gallery of the Church of Laying Our Lady’s Holy Robe.